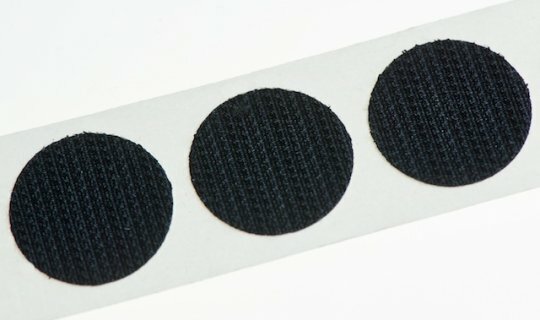 VELCRO® Brand VELCOIN® - 13mm diameter peel and stick 'coins' of black LOOP 1000, designed to match HOOK 88 VELCRO® Brand products. Supplied on 25m reels carrying approximately 1,440 coins. These coins are Black; White are also available from stock or we can supply other colours by request. 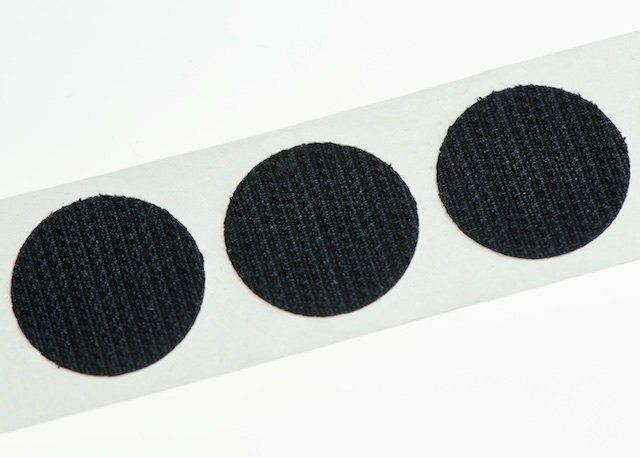 VELCRO® Brand VELCOIN® coins have a pressure sensitive rubber-based adhesive backing and are recommended for most substrates. It is high tack, quick setting and reaches 90% of bond strength in an hour of application.